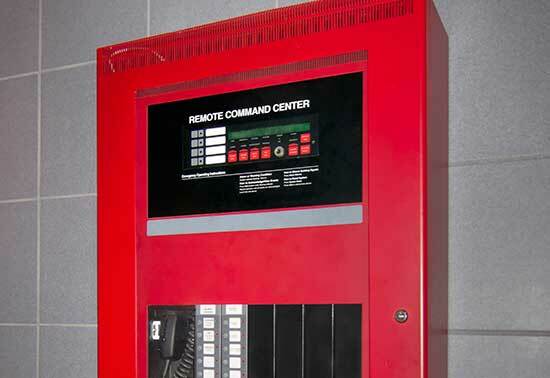 Knight Security's Fire Alarm division has been a cornerstone of our business since the company was founded. For decades, we've been at the forefront of the design, installation and servicing of fire alarm systems here in Central PA. Our customers have included airports, county, and municipal buildings around Harrisburg and beyond. Our engineers, designers, project managers and certified installation technicians have a wealth of experience in delivering fire detection and alarm systems for all types of buildings, businesses and needs. This experience can improve the overall effectiveness of your fire protection program, reduce maintenance, reduce running costs and extend your current capital investment well into the future. The key success factor for any fire protection system is its design. Fire protection depends on the early identification of a developing fire, and on alerting the occupants and emergency services. Knight Security designs and installs systems that can also initiate automatic suppression systems and interface with elevators, air handling, electrical and other special process operations. Our system designs are tailored to the type of business, building size, occupant level, the types of fires that could develop, and the protection needs of our clients. Knight Security specialists are fully certified and knowledgeable in national, state and local fire safety codes, AHJ (authority having jurisdiction) rules, manufacturers' specifications and installation requirements.